and reinvent the way you work. Learn about the structure and function of study circles, and how to plan and conduct study circles to improve knowledge about key issues in one’s community. This section is adapted from Leighninger, Flavin-McDonald, and Ghandour's Building strong neighborhoods: A study circle guide for public dialgoue and community problem-solving. Why should you organize study circles? How do you organize a community-wide study circles program? Today, we are facing some difficult challenges. Neighborhoods are dealing with crime, economic problems, tensions between different groups of people, drug and alcohol abuse, and other things. To make matters worse, many of us barely know our neighbors. The good news is that the people in our neighborhood communities are full of energy, talent, and creativity -- attributes that can be channeled into improving everyone's quality of life. But all too often, neighborhoods aren't able to take full advantage of their residents' energy and commitment. Most of the people who live and work in our neighborhoods are not at the table when problems are being discussed and decisions are being made. It is often the same leaders who try to represent all of the people in the neighborhood, and sometimes those leaders "burn out." So how can you tap into the talent and creativity where you live for the benefit of the neighborhood as a whole? A growing number of community organizers, hoping to bring neighborhoods together, have successfully used study circles. A study circle is a group of 8 to 12 people who meet regularly over a period of weeks or months to address a critical public issue in a democratic, collaborative way. Participants examine the issue from many points of view and identify areas of common ground. They emerge with recommendations for action that will benefit the community. Some examples from study circles conducted around the country include youth mentoring programs; new hiring policies; citywide diversity celebrations; a multiracial "unity choir;" and a new state law reforming the corrections system in Oklahoma. A study circle is typically led by an impartial facilitator whose job it is to keep discussions focused, help the group consider a variety of views, and ask difficult questions. In general, a study circle will progress from a session on personal experience ("How does the issue affect me?") to sessions providing a broader perspective ("What are others saying about this issue?") to a session on action ("What can we do about this issue right now?"). Study circles produce good ideas and plans for action which can draw the neighborhood community together and improve everyone's quality of life. Individual study circles can take place within communities or within organizations such as schools, unions, or government agencies. However, study circles have the greatest reach and impact when organizations across a community work together to hold multiple study circles as part of a large-scale program. These community-wide programs engage large numbers of citizens -- in some cases thousands -- in study circles on a public issue such as race relations, crime and violence, or education. Broad sponsoring coalitions create strong, diverse community participation. 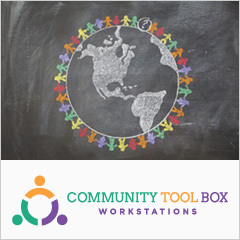 This section of the Tool Box will take you step by step through the process of planning and conducting an initial study circle through expanding your program and coordinating a community-wide effort. You can have a pre-planned topic, such as public safety or neighborhood beautification, or you can hold a general circle and let the participants choose which issue they wish to address. Organizing a study circle -- or a community-wide program of study circles -- is a lot of work, but it's worth it for a number of reasons. The discussions begin with people talking about their own experiences. Study circles don't deal with problems in the abstract - they deal with real problems that real people experience every day. The small groups help people of different backgrounds talk about difficult issues in a safe, respectful way. Large groups can be intimidating; but many people who are uncomfortable in a large group will open up more easily to a smaller one. People know that they are part of a larger effort, and they feel good about that. The study circle program as a whole empowers community residents. It helps people solve problems and take action in their own neighborhoods and communities. Once study circle programs get started, they usually grow larger and stronger -- people come to enjoy working together on a common goal. Study circle participants often talk about how quickly the time passed, since the discussion was focused, honest, and productive. They also talk about how much fun they had getting to know one another. So as you can see, there are plenty of good reasons to organize a study circle in your neighborhood. Are you ready to try? Let's go! Milltown, a historic neighborhood in a large Midwestern city, has always been a nice place to live, with a good mix of old and young, students and professionals, and single people and established families. In recent years, Milltown has also been home to an increasingly large Hispanic population. The various groups, while aware of one another, don't interact much, and lately there has been some tension between the Hispanic newcomers and longtime "Milltowners." As if that weren't problem enough, Milltown has, in recent months, experienced a crime wave. For the most part, the crimes have been relatively minor -- a little graffiti here, a window broken there, someone's mailbox knocked over somewhere else. But things seem to be escalating; several car break-ins have been reported, and one man's townhouse was burglarized. The residents of Milltown are understandably concerned about the problems facing their community. How can they bring the community together to stop the crime and make all the residents feel safe? Before you get started, there are several things you'll want to consider. First, share the burden: solicit volunteers in the neighborhood that will help you organize the program. This will not only help you, but it will also give the participants a greater feeling of "ownership" over the process. Second, make it clear that all different backgrounds will be respected in the study circles. Otherwise, you'll foster the perception that only certain people's opinions or experiences matter -- definitely not the message you want to be sending! Third, make sure that people understand that this project will help people solve problems in the neighborhood, not just talk about them! With these things in mind, you're ready to get started! Put together a core team of stalwart assistants.Talk to a few people you know well and have worked with before, and who would be excited about this project. Hold a pilot study circle. With your core team's help, think of ten or twelve people who might be interested in being pioneers! Give them a personal invitation to the pilot study circle and try out one or two sessions. At the end, ask them what they think of the process and how you can make it work in your neighborhood. The pilot study circle can be held anywhere - a church basement, an empty classroom in the neighborhood school, the activity room in an apartment building, or even someone's home. Wherever you hold it, make sure it's accessible, easy to find, and comfortable. You may wish to provide refreshments to the participants, or see whether the participants would like to take turns bringing food and drink. Make a list of groups and organizations in your neighborhood. To involve a large number of people, you need to tap into as many groups and organizations as you can. Make a list of all the schools, congregations, businesses, clubs, nonprofits, libraries, tenants' associations, scout troops, and other groups in the neighborhood. Also list key outsiders who work closely with the neighborhood, including police officers, public officials, and other government employees. Can you think of others? Hold another pilot study circle with representatives from different organizations. Invite people from some of these organizations to another pilot circle. If you have more than twelve people, hold more than one circle. Try for a good mix of people in each. Milltown, a historic neighborhood in a large Midwestern city, has always been a nice place to live, with a good mix of old and young, students and professionals, and single people and established families. In recent years, Milltown has also been home to an increasingly large Hispanic population. The various groups, while aware of one another, don't interact much, and lately there has been some tension between the Hispanic newcomers and longtime "Milltowners." As if that weren't problem enough, Milltown has, in recent months, experienced a crime wave. Alma Huerta, a Milltown resident, decides to organize a community-wide study circle program in response to the stresses on her neighborhood. She asks her friend in the townhouse next door, Allison Browne, for help, and Allison is enthusiastic about the project. Together they recruit other participants for a pilot study circle: the minister at Allison's church, the real estate agent who sold Alma her townhouse, and the custodian at Alma's office building are all members. They meet in the Milltown Baptist Church's meeting room because the church is an easily-located landmark in Milltown, and also because Allison uses a wheelchair and the church is easily accessible to people with disabilities. Alma begins the study circle by introducing herself and having all the participants introduce themselves. She says to the group, "We're all here tonight because we 're concerned about crime in Milltown. Tonight, we're going to talk about safety. Safety is a big concern, because when you don't feel safe, it's hard to work on any other priorities. So the goal of tonight's session is to help you talk about how to make our neighborhood a safer place to live and work." Do you feel safe in the neighborhood? Why or why not? What kinds of safety precautions do you usually take? What roles do the police play in making the neighborhood safer? What roles can you play in making the neighborhood safer? The group has a lively discussion about safety in Milltown. At the end, the participants agree that study circles are a great idea, and they begin to plan for the future! Plan the kickoff. This is a large meeting that takes place just before the study circles begin to announce the project to the whole neighborhood. Invite one or two speakers who can describe the study circles and inspire people to take part. Provide refreshments, and leave some time for people to socialize and sign up. Recruit and train facilitators. If you can, find some people who are skilled at facilitating groups. Also, invite people who have the personality to be good facilitators--good listeners often make good facilitators. Give them information about study circle facilitation, and bring them together for a training. Make sure people understand the main rule: Facilitators are neutral, and must keep their opinions to themselves. Find sites and handle other details. Arrange for study circles to meet in schools, libraries, police substations, churches, firehouses, and businesses; in a pinch, use people's homes. If you can, provide child care, transportation, or other services that will help people take part. If possible, find volunteers to serve as recorders for the groups. Recruit people to join the study circles. Again, personal invitations work best. Get everyone on the working group to recruit people from their organization or circle of friends. Go door to door. Create flyers and signup sheets to pass out in the neighborhood. Get your information into local newsletters, church bulletins, and newspapers, and think of other ways to get the word out. Plan the action forum. This large meeting takes place at the end of a round of study circles. Beforehand, use the records from each group to identify the main areas of concern. At the forum, allow enough time for someone from each study circle to give a quick summary of its ideas (no more than five minutes each). Encourage people to sign up for action groups on the main areas of concern. Give the action groups some time to get acquainted and begin planning. Close the meeting with a speaker who will congratulate everyone on their efforts. Make sure there is food and time for socializing. Hold the kickoff meeting. Try to get the local news media to cover the kickoff. Alma and Allison have held a second successful study circle, this one with different participants, and they have been delighted with the participants' enthusiasm. Everyone who has taken part feels that expanding the program would be good for Milltown, and a number of people pitch in to plan a kickoff meeting. The Milltown Community Center donates the space for the meeting, and local restaurants and caterers, some of whose businesses have been affected by the recent crime wave, donate food. An electronics shop in the neighborhood even donates a 26-inch color television to be raffled off during the event. The women then get the word out. They create colorful flyers (making prominent mention of that TV! ), which they make available at grocery stores, in the library, on church bulletin boards, in schools, and in clinics. They make sure the information is clearly printed in both English and Spanish. They write a press release for the local newspaper, place a public service announcement on the local cable-access television station, and get blurbs about the kickoff placed in school and church newsletters. While all this media work is important, most study circle participants are recruited through personal contact. Knowing this, Alma and Allison tell everyone they can about the group, and they ask those people to tell others. They talk to local clergy, police officers, agency directors, social workers, media personnel, school personnel, and anyone else they can think of. When the big day arrives, some 750 Milltowners converge upon the Community Center, and enough residents sign up to make 10 good-sized study circles. Now you're ready for the study circles to begin; keep in mind that as they go on, you'll need to support the study circles. How? Bring the facilitators together for a meeting so they can compare notes on how their groups are going. Start new study circles for people who are joining late. Collect the records from each circle to give you a sense of the discussions and to help you document the process. When the study circles end - usually after several months - it's time to hold the action forum. This is a chance to celebrate what your neighborhood has done, and to move from talk to action. Keep the momentum going. Talk to the action groups to see how they're doing. Try to get the local media to cover the action effort. Work with people who want to get a new round of study circles going. Throughout the process, Alma and Allison continue to coordinate the overall study circle effort. In addition to each facilitating a study circle of her own, they meet regularly with the other facilitators to review records, keep track of common themes, and generally see how things are going. The other facilitators report that things are going well with their groups. The discussions, while passionate and sometimes heated, have led to new ideas, new understanding, and new hope. New connections are being forged, and new friendships are being made. Best of all, the participants feel empowered; they feel that they really are doing something to reduce crime in Milltown. Pause and reflect on what you've learned, and start planning the next round. Get the working group together and talk about how things went. Record (and celebrate!) Your achievements, and look for ways to make the program stronger. Give feedback and encouragement to volunteers. Use what you learned to plan for the future. Try to expand your working group. In this way, you can sustain and deepen your study circle program and continue to build a stronger neighborhood! Working with the local police substation to set up an after-school youth basketball league for the teens of Milltown. Working with the Community Center to expand its menu of after-school activities for teens. Setting up a mentorship program with Milltown High School for at-risk youth. Holding an annual community-wide Cinco de Mayo block party to celebrate community diversity and draw the neighborhood closer together. Talking with gang members themselves to find out why they have gotten involved with gangs, what keeps them involved, what can be done to make them feel like more of a part of the community, and what can be done to discourage them from taking part in criminal activities. Implementing these suggestions takes a lot of time and involvement on behalf of the Milltown residents, but their efforts pay off: A year after the study circles project began, crime in Milltown is down over 60 percent. And Alma and Allison? They're considering ways to beautify Milltown -- with a new round of study circles! The recorder and the facilitator are very important to each individual study circle. The facilitator keeps things moving and on track, and the recorder makes sure everyone's thoughts are written down. If you've taken on one of these key roles, here's a fuller description of what you'll need to do. Stay neutral. Use the power you have with the group wisely. Your role should never be to promote a particular point of view, but rather to further the discussion. By the end of the discussion, group members should not know your views on the issues being discussed. Be prepared. Think ahead of time how the discussion might go. This will allow you to give your full attention to the group. Let participants respond to one another. Encourage interaction among the group. If questions or comments are directed at you, try to deflect them to someone else. You should speak less than any person in the group. Don't let any one person dominate the discussion. If you allow people to interrupt or let one or two talkers take over, the more polite people will get angry and frustrated. At the first sign of trouble, refer to the ground rules the group has set. Draw out quiet participants. Don't put anyone on the spot, but watch for opportunities to bring quiet people into the discussion. Learn participants' names and use them. Keep the discussions on track. Since important issues are usually related to each other, it is easy for groups to move into other areas. Participants need the freedom to explore connections and ideas, but try to keep the discussion related to the session's topic. Allow for pauses and silences. People need time to think and reflect. Sometimes silence will help people build up the courage to make a valuable point. You may find it helpful to silently count to ten after asking a question. Don't worry about achieving consensus. Not everyone is going to agree on everything. There is no need for consensus--just try to help the group find some areas of agreement. When in doubt, ask the group. If you're having trouble enforcing the ground rules, or deciding which topic to spend time on, ask the group what they would like to do. If your neighborhood community seems endangered by forces within or without, if neighbors don't know each other and members of the community live in virtual isolation from one another, and if you would like to make a difference in your community, consider organizing a study circle. By giving voice to the people most affected by neighborhood problems, study circles strengthen ties between neighbors and, more importantly, empower members of the community to make real and lasting changes. The Citizen's Handbook provides straight-forward recommendations and information for community members who want to get involved in activism. Organizing Study Circles to Build Hospitable Communities is a guide for creating study circles with specific examples for each of their strategies. Organizing Study Circles provides four strategies for having successful study circles. Organizing Study Circles With Young People - This guide provides information on organizing study circles intended to get young people involved. Study Circles gives a detailed overview of study circles, as well as their purpose and outcomes. Study Circle Facilitator Guide is an online PDF that serves as a guide for facilitators of community study circles. The Study Circle Process is a great resource that gives an overview of study circles, as well as the basic principles of study circles and the impact of study circles. SCRC staff members offer their services to community leaders, free of charge, at every stage of creating a community-wide study circle program: giving advice on all the steps in the organizing process; helping to develop strong coalitions within communities; advising on material development; and writing letters of support for funding proposals. Often, SCRC can also provide free study circle guides. Occasionally, an SCRC staff member can visit a community to participate in organizing meetings and conduct facilitator trainings. 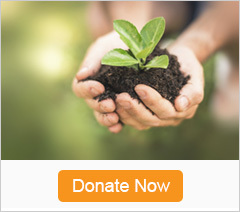 SCRC is a project of the Topsfield Foundation Inc., a nonprofit, nonpartisan foundation dedicated to advancing deliberative democracy and improving the quality of life in the United States. Leighninger, M., Flavin, M., & Ghandour R. (1998). Building strong neighborhoods: A study circle guide for public dialogue and community problem solving. Pomfret, CT: The Topsfield Foundation.